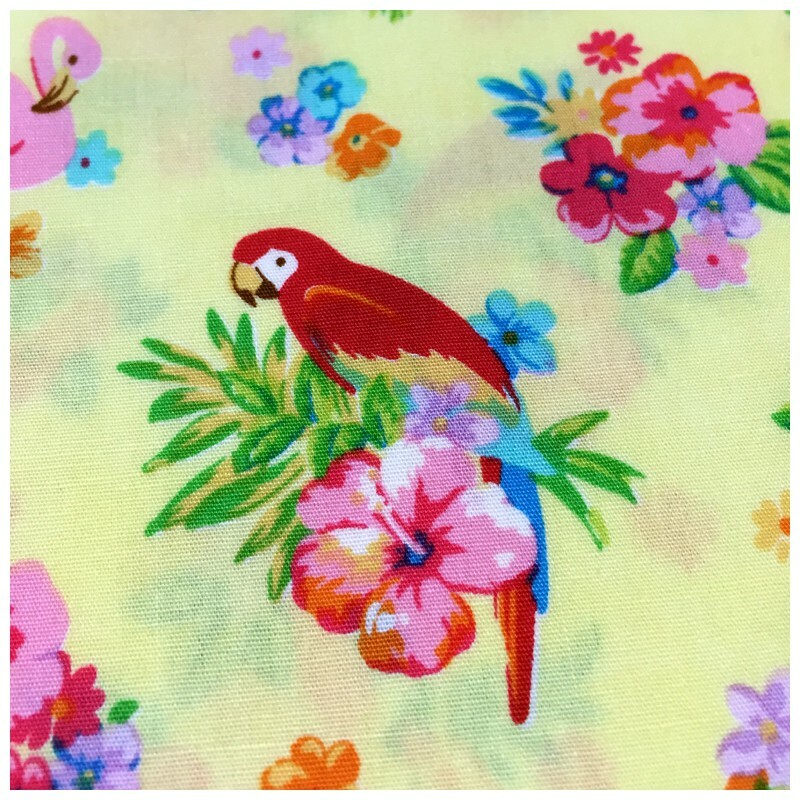 Printed cotton with parrots, toucans, flamingos and flowers on yellow background. Japanese cotton from Cosmo manufacturer. 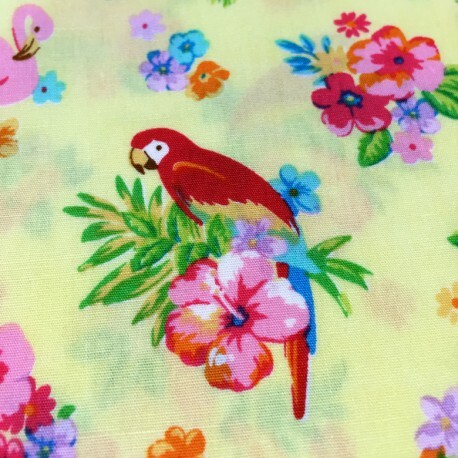 Ideal for dressmaking, sewing accessories (eg aprons, oven gloves, etc...), objects of decoration or for patchwork. Please note that the width is 110 cm !